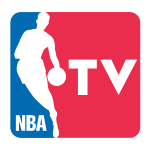 The 2010/2011 NBA season is tipping off in 27 days, but NBA pre-season games actually start on Sunday, Oct. 3 with the New York Knicks vs. Italy’s Olimpia Milano from Milan at 12:30 pm ET. Then, the New Jersey Nets will play Isreali Super League’s Maccabi Haifa at Prudential Center, Newark at 7:00 pm ET. On Monday, Oct. 4, last year’s NBA champions Los Angeles Lakers will play the Minnesota Timberwolves at 3:00 pm ET from the O2 Arena in London. On Weds, Oct. 6, last year’s Eastern Conference finalists Boston Celtics with newly added Shaquille O’Neal, Jermaine O’Neal, and Delonte West will play the Philadelphia 76ers at 7:30 pm ET.